This series of questions and answers provides background information about the Drinking Water and Watershed Protection (DWWP) program. If you wish to discuss this information or have additional questions please call the RDN's Water & Utility Services Dept at 250-390-6560 (Nanaimo area) or 1-877-607-4111 or email us at waterprotection@rdn.bc.ca. 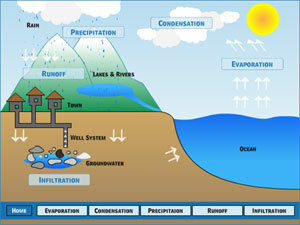 Why do we need this Drinking Water & Watershed Protection program, isn't our water supply just fine? There isn't a problem with our water supply - we have lots of water. How much does the Drinking Water & Watershed Protection program cost? What do I get for my Tax dollars? 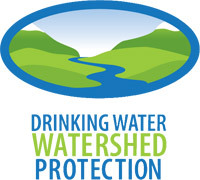 Who is participating in the Drinking Water and Watershed Protection program? Isn't water management the role of the provincial and federal governments? Why should I pay more tax for water management? Isn't the RDN's authority over water resources pretty limited, particularly with respect to regulating large water and land users like forestry, mining or manufacturing? Will Action for Water stop development? Will this new service impose rules on how I use my well? Water supplies in the Region are not in crisis, but there are signs that they are under stress; declining water levels in wells, salt water intrusion, higher temperatures and lower summer flows in major streams and rivers and projected declines in the winter snow pack. Without action, these and other problems will worsen as the Region's population increases and climate changes. Our level of understanding of our water resources is poor. We do not fully understand the impact we've already made on aquatic ecosystems, and therefore can't accurately assess the impacts that continuing our current uses, along with population growth, will have. To preserve what we have now, we need to better understand our water resources and the impacts that our existing and future population will bring. It's important to remember that water is a finite resource - there is no new water being 'made'; it just gets cycled around from the air to the ground and underground (see figure). The signs of stress on water systems are often subtle and simply turning on a tap and getting a gush of water doesn't tell the story. For instance, higher temperatures and lower flows in French Creek indicate that there is less groundwater feeding it, keeping it cool and running during the summer. Wells in the French Creek watershed are likely drawing down the water table, starving this valuable aquatic system. At the same time, wells are experiencing seasonal failures in several parts of the Regional District. Are these failures due to excessive use? Are they a result of changes in groundwater recharge (the surface water sources that feed groundwater supplies)? Water quality is a concern in both surface and groundwater sources in areas of the Region. What can we do to avoid contamination in the future? Other threats to our water may be occurring in the Region but we don't have the resources to find out. More activity on the land - from home building to farming, road-building to recreation - increases the impacts on our watersheds. The DWWP program is intended to provide the resources to identify and work on ways to address these issues. How much does the Drinking Water and Watershed Protection program cost? The budget for 10 years is about $5.2 million. [ Click Here ] for the cost table that outlines the yearly DWWP financial contributions for each Area/ Municipality. The detailed budget and schedule can be found in the Drinking Water and Watershed Protection Action Plan report. Improved understanding of our watersheds and water resources, and how our activities affect them. Watershed management plans in areas where threats to the health of a watershed exist. Changes to development and operating standards to better protect our water resources - such as water-conserving landscaping and irrigation standards; and requirement for permeable surfaces in new development to minimize surface runoff. Improved data collection, analysis and mapping of the Region's aquifers (groundwater sources) rivers and streams - this information will be used to develop a better understanding of those surface and groundwater sources and to protect the "recharge areas" for our water supplies. More informed decisions on how to use land and water resources, so we can maintain healthy watersheds and clean drinking water. The 7 electoral areas and the municipalities of Nanaimo, Parksville, Lantzville and Qualicum Beach all participate in the DWWP service, as it compliments mutual goals for water resource protection. It's true that water licensing, regulation of community drinking water systems and some other water management activities are the jurisdiction of the provincial and federal governments. However, there are many important water issues at the local level that are not addressed by senior governments. For instance, the Province does have data collection programs and sets some water-related standards - but these programs cover the broadest bases, and it takes a long time for the Province to get around to focusing on the issues in our region. Also, while many government agencies manage specific activities in watersheds - e.g., forestry, fisheries or mining - no one agency has the clear responsibility to look at a watershed as a whole and manage land use according to the values of that watershed. This is a key objective of the Drinking Water and Watershed Protection service. Of all levels of government, the RDN is in a good position to identify and develop responses to water issues in our region. Just the same, the RDN can't do this alone. Senior government agencies were involved in generating the Action for Water concept behind the Drinking Water and Watershed Protection program and we rely on their support to implement it, especially with respect to watershed management where responsibilities are shared among many agencies. With better information about the Region's water resources, the RDN would be in a better position to influence provincial decisions regarding water licensing, forestry, agriculture and mining activities. With improved information about local watersheds the RDN would also be in a better position to influence industry sectors through targeted educational programs and through direct contact on specific watershed or aquifer issues. Will the DWWP program stop development? The purpose of Drinking Water and Watershed Protection is to understand our watersheds and water resources better, so that we can make better decisions about future development. That better understanding may lead to directing future development to some parts of the Region over others, or discouraging some types of development in some places over others. Its purpose is not to outright stop development - but if and where development must occur, to know whether it can be sustained from a water perspective. Does this service impose rules on how I use my well? There is no regulatory authority associated with the service. Groundwater regulations are the mandate of the Provincial Government. DWWP is a service that is focused on learning about our water resources so that we can protect our water resource for the future. There will be some limited funding to allow testing and monitoring of private wells on a voluntary basis. This information will be very valuable in helping us understand changes and possible threats to groundwater sources.